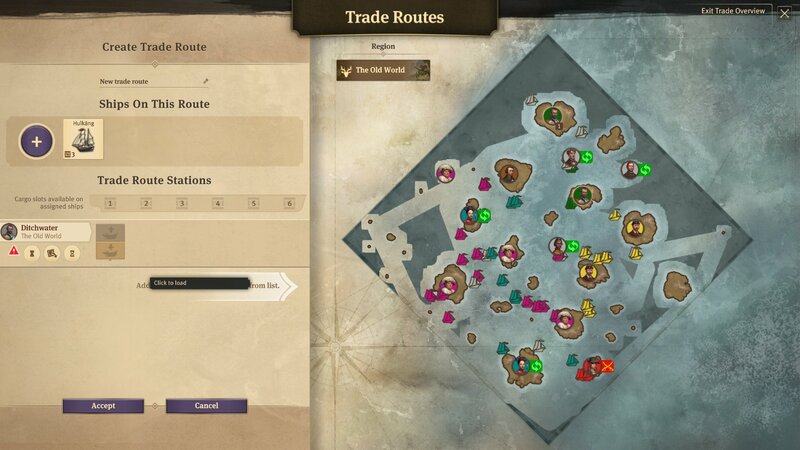 Set up trade routes, manage the cargo and goods being moved around, and expand your control on the region in Anno 1800. 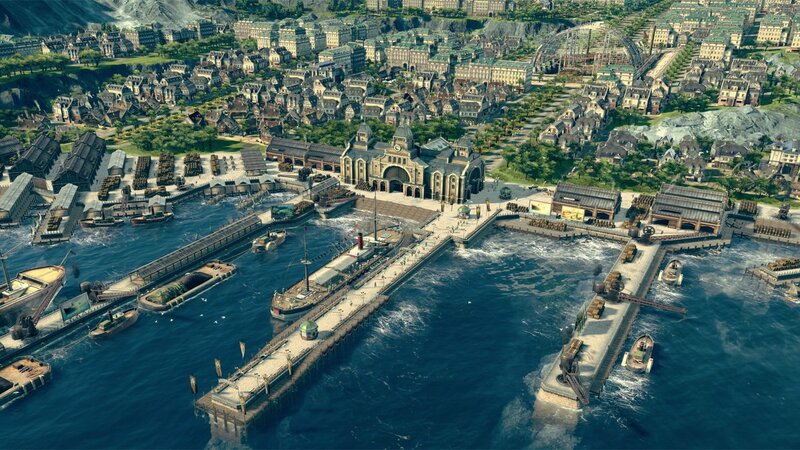 Setting up a trade route in Anno 1800 is vital to a well-functioning economy. While it’s certainly possible to create a thriving civilization in complete isolation, selling your surplus of stock to friendly neighbors is an excellent way to increase profits. The more trade routes you create, the more income you will be able to generate. This is an extremely simple trade route that only serves a single piece of cargo and one trade partner. More complex trade routes will require several things. The first of these requirements is a large ship, as the bigger the ship, the more cargo slots it has to offer. This allows you to either fill up your vessel at your island or take on more cargo at a destination. The second is obviously more trade partners. Having more trade partners isn’t simple. While Sir Archibald Blake and Eli Bleakworth are both ready to trade immediately, the other NPCs in the campaign won’t be as forthcoming. You will need some expert diplomacy skills in order to open a trade agreement with the other islands in the region. One thing to keep in mind is that if any of your trade partners have items another might want, you can always purchase an item from one and sell it to the other. This will allow you to turn a profit without having your ship constantly return to port. However, you will want to ensure that the recipient still requires a specified good or whether their needs have changed. Some islands require an infinite amount of an item (as indicated by the infinity symbol) while some islands only require a specific number of said item or foodstuffs. Setting up a trade route in Anno 1800 is one way to ensure you have a constant revenue stream. The more trade routes you have available, the easier it will be to keep your balance in the positive. Start small, trading just with the immediate players or NPCs near you, and then expand out to cover as many areas as possible. 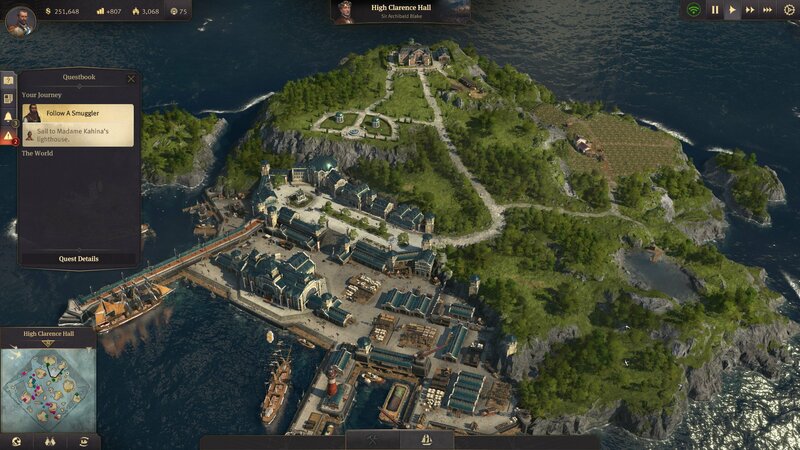 Be sure to sail over to the Shacknews Anno 1800 page for more coverage!